You can take a ferry to Guernsey from the Channel Islands, England and France. 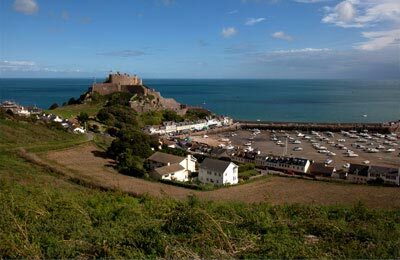 Domestic services in the Channel Islands are available to Guernsey from Jersey and Sark. Ferries from France sail from Carteret, Dielette, Granville and St Malo to Guernsey. From the UK ferries to Guernsey sail from Poole and Portsmouth. The average price this month is £320 for a car and two people on a return journey on the popular route Poole to Guernsey. There are several crossings weekly which can be viewed in more detail below. Sailing durations for Poole-Guernsey are from 3 hours. The average crossing time for Jersey-Guernsey is from 1 hour and up to 7 hours on the Portsmouth-Guernsey service. 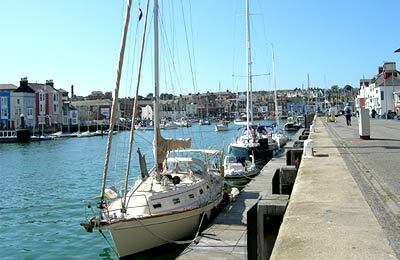 When you do a search for a ferry to Guernsey, we will also compare similar routes. Because there are 3 ferry companies operating in and out of Guernsey, comparing can be very useful to help you find the best sailing time and price. When you search for a ferry to Guernsey, we will always show a range of times just in case it's cheaper earlier or later than the time you selected. Ferries to Guernsey are operated by Condor Ferries, Isle of Sark Shipping and Manche Iles Express and are known for their comfort and high levels of service. You will feel like your holiday has begun the moment you step on board. Travelling to Guernsey will be easy and hassle free. There is a great choice of seating when you travel with Condor Ferries, you are guaranteed a comfortable pre-assigned seat, reclining seats are available too. Plus there are options to upgrade to Ocean Plus or Club seats, with panoramic views and a private bar serving snacks and drinks. Condor's Commodore Clipper sails between the UK, Guernsey and Jersey and you can choose from 2, 3 and 4 berth cabins with either en suite or shared bathroom facilities. Upgrade to a superior cabin with a large forward facing window, TV/DVD player, complimentaray fruit and water as an extra treat. Club Class service offers stylish yet affordable comfort for the discerning traveller. If travelling on the Condor Liberation (normally operates from Poole): At seat power supply for the entire journey. A Superior Cabin adds a touch of luxury on daytime and overnight crossings. These cabins are at the front of the ship and accommodate up to four people. Outside and inside cabins are available to book. The cabins range from 2 to 4 berth capacity, all offering ensuite facilities. Onboard cabins are modern, comfortable and tastefully decorated. Passengers travelling overnight in a cabin are entitled to a complimentary breakfast.